A busboard designed for use with the A1200 and the Towerhawk 1200 ex or Towerhawk 1200 II ex towerkit. 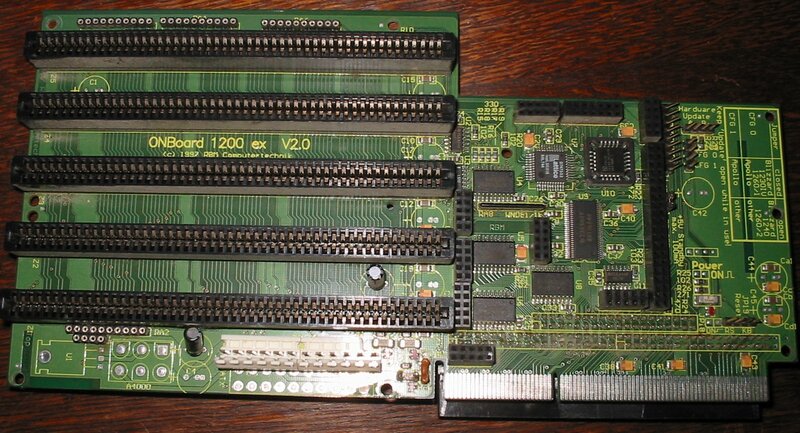 The Towerhawk 1200 ex requires a revision 1.0 busboard, whilst the Towerhawk 1200 II ex requires revision 2.0 because the A1200 motherboard is mounted on different sides. 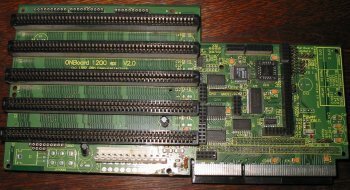 It may have been possible to convert the Zorro II slots on this card into Zorro III slots by fitting an A3000/A4000 style accelerator. Page contributors: Frank Van Aelst, Harmut Röber.